I got a text this evening from a friend who said she thought of me when she heard the news of Maeve Binchy’s death today. I hadn’t heard the news yet, so I was thankful to hear it from a friend! 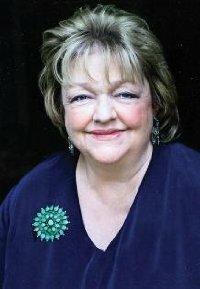 I’ve written before on my blog about how Binchy’s books make me feel and even chose one of her books as my favorite read of 2011. I have vivid memories of discovering her books in the Rushford Public Library and devouring all that were on the shelf, and years later finding comfort in their presence in the corner where we sat for library board meetings. When I’m asked for a book recommendation, I always ask if they’ve read her books. If I’m asked to pick out a book from the library for someone, her books are top on my list. I know that her books have greatly influenced my love of Ireland and all things Irish. In 2011 I read her most recent book, Minding Frankie, and I was worried before I started reading that maybe it had been so long since I’d read a Binchy book that I had glorified them too much and I wouldn’t love it as much as I remembered loving her books. But it felt like coming home and ended up being my favorite book I read in 2011. Her books are so comfortable and the characters and communities are beautifully and vividly and simply described. I am thankful that I discovered her years ago and have had her books and characters in my life for probably more than 20 years. I checked amazon.com tonight and found a short story she published in 2011 (A Week in Summer) and I immediately downloaded it. I can’t wait to curl up to another new Binchy book and I’m sad that there won’t be any more. Do you have a favorite Binchy book? Who is the author you always find yourself recommending to people?